First race, one lap to far..
Well, you may have read it in Dave’s report, did finish, but wit a terrible last 1.5 lap. Last year I started fighting the cramp monster with the powders and gels, which worked well over the year. This year I took what I took last year, drank a lot, but ‘forgot’ to eat. Well, I just did not find the time to eat, as the pace was (to?) fast, and i had to keep spinning my 39:21 gearing to be able to hold on to the guys I was riding with. The plan was to get to the front fast, find a fast group to ride with and just see where it would go. Actually I felt quite good, passing lots of riders in the first 3-4 laps, and keeping a good pace, riding at around place 100 of the 260 rider field. I was aware of Dave behind me, but that never made me ride different, as I was confident of myself… Untill the feeling we all know started in my left upper leg, which immediatly made me drop from the group while starting to empy a gel and my Camel bak. To late. After some slow riding and a ‘Snelle Jelle’ I started to recover but then I already lost about 30 places, and 4 minutes in 1 lap on Dave. Gladly I made enough time on the next singlespeeder, so I managed to finish as 3rd singlespeeder. I was happy with my result, learned my lesson again, and found out I am fast enough and have a good base for the rest of the season. Road season will start again wednesday, time to log some more K’s! Big respect for David, riding the way he did and then riding home, head wind and on that tiny gearing through the Dutch plains..
Sunday was the opening race of the season for many riders in The Netherlands. As part of the Bergrace series, we have the choice of three distances/times in 5 different locations during the season, the first of which is in Wageningen on an estate of the Dutch Royal family. The course varies depending on the distance, and the 150min course is quite flat with a couple of short climbs and one false flat longer climb. When I say there was climbing, I mean it wasn’t flat and it wasn’t down hill. 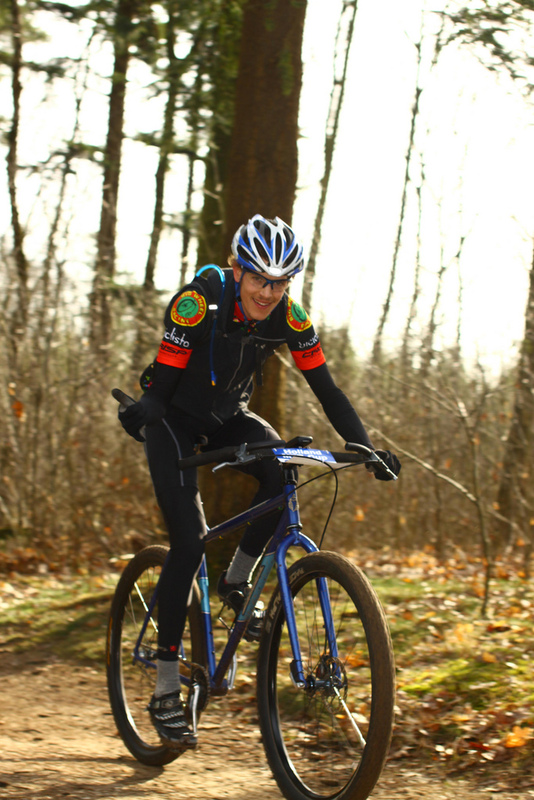 The course is so flat that it doesn’t really suit me or a singlespeed. It’s a good warm up for the season and to test the legs, with some furious pace across hard-packed sand. I can’t remember another time that I’ve averaged almost 25kph offroad. As is the social norm amongst singlespeed riders, we like to talk and be together. As a result, I always start with my hombres at the back of the field of 260 odd racers. This is all well and good, but when you have a small gear (34×19), it’s difficult to overtake on the flat, impossible on the downhill, and only possible on a couple of uphill jaunts. My favourite overtaking place was on the uphill feed zone and I got plenty of support from the crowd for my antics. I was aware that Jelle had moved quickly through the field and might be in a fast group, and after spotting him at a section where you can see the racers 30 seconds “up the road”, I knew I was getting close. That was after about 60 minutes of racing and I was sure we’d be riding together soon. Reality check! I spent the next hour passing people, searching for someone to help me move up the field, but alas, I was on the wrong end of the concertina effect, common in amateur and possibly all racing. After 2 hours of hard riding, I lapped a fellow SSer and was surprised to hear that Jelle was nearby. Within a couple of minutes I had caught and was promptly waved through by Jelle. He was being plagued by the cramp monster, something I’m all too familiar with, having ruined my race last year. Time was running out, and having not been lapped yet by the leaders, I mentally prepared for another lap. Error. I heard the calls through the forest, and was promptly overtaken, race over. I was looking forward to one final lap to relax the legs. The post race chat was enjoyable as always, discussing future plans for bikes and rides. Conclusion is that I am going to use a Rohloff for the GDR, and maybe build it into an Edge hoop. The sun was out and we enjoyed cheering on our posse in the 75 minute race. After a top up on fluids and food, it was time to head for home. The plan was to ride back to Amsterdam, and I managed to fight the temptation to take the train. 100km over the Dutch countryside, parts nice, others smelly, back in time for a good Indian curry. Life is good. 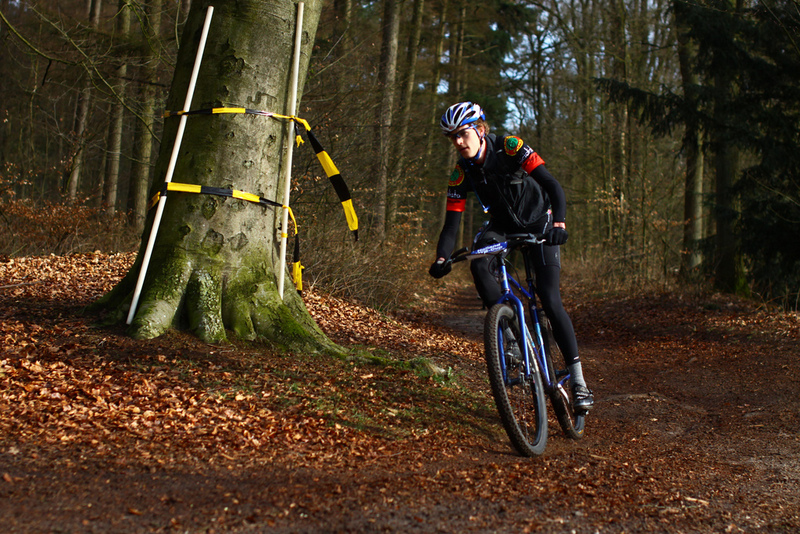 All up it was a very good day; the first on the MTB since SiS last year. I’m feeling pretty comfortable aboard my warhorse, having covered 170km during the day. I’m feeling confident about this season. At long last I can post something on the BWR-E blog. The first race of the season is upon me and this Sunday, I will duel it out with Jelle, my extra tall Dutch team mate. The warmer climes have greeted us in time to dry out the course, but the forecast is for more rain this weekend. The first Berg Race of the year takes place in March, and I have only ever known it to be wet and slippery. It’s going to be a great day never the less. Ride report to follow on Sunday. Hi all, with this post, or link to my page @ the BWR Europe website, I’d like to introduce myself to all people out there. My name is Jelle Tienstra I have been promoting the big wheel thing for quite some years now and I hope with my membership of Big Wheel Racing Europe I will help to make more and more racers aware of the possibilities of 29-ers. I will also be a sponsor for the team with my site and shop @ Singlespeed.nl . Here some more info on me! 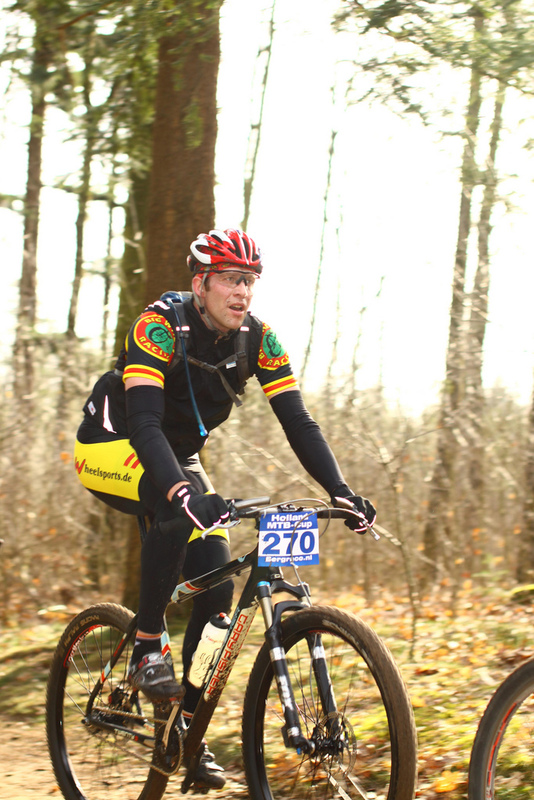 For 2010 I will participate in the National Bergrace Offroad competition, some local competitions, the Dutch and European Singlespeed Champs, Schlaflos Im Sattel and I hope some Marathons in Germany and Belgium. I will ride the races on a Singlespeed 29-er, first on a Gary Fisher Superfly (pic below), and later, when available, on a Niner Air9 Carbon. The first race will be this weekend, so a report on that later! Hope to see you all out there at some event or just in the wild!